This month we reveal 3 things you should know about Microsoft in the "Cloud" and we rate the new HP business tablet. You can also claim up to $500 of gift card value for any new purchase of HP servers, storage or networking products from us. Buy HP from us, upload a copy of your receipt and collect up to $500! Cloud is an innovative way to deliver IT software and services without the files sitting on your PCs and servers. The latest big name brand to make the move is Microsoft with their Office 365 products. 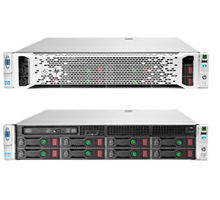 HP ProLiant DL380e servers are the top selling servers in Australia. They are great for email, web hosting, database, virtualisation and countless other workloads. For a limited time you can collect up to $500 cash (via redemption) on top of our already competitive pricing. Do you want your staff to connect wirelessly in the office? Would you like to reduce cables and clutter on and under your desk? Can you unleash the capabilities of laptops, tablets and smart phones? 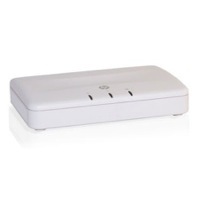 Improve staff productivity and employee satisfaction with HP wireless networking. Buy before March 31st and collect a gift voucher worth up to $200 (calculated at 10% of our already competitive pricing). 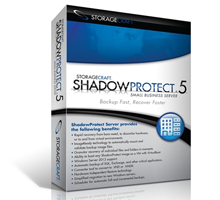 ShadowProtect 5 - award winning, real-time recovery solutions enables you to restore a server in less than 3–5 minutes after a hardware failure, corruption or a disaster. * Offers expire 30th April 2013 or while stocks last. Terms and Conditions apply and please contact us for details. You are receiving this email because you previously subscribed to the MCG Computer Australia newsletter.